Another Stephanie, Stephanie Rose Bird, nominated me for an award. Because she's so awesome...and because we Stephanies must stick together, I'm accepting it and passing it on. 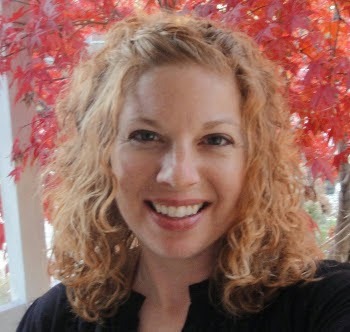 Stephanie is a talented artist, illustrator, blogger, and author, whose debut novel is coming soon. The award comes with a lot of rules, which you can read here. I'm not going to nominate 14 people--mostly because I want to be able to tell you a little about the people I'm nominating. Instead, I'm going to nominate five and if you choose to participate, jump on in! No pressure. Alex J. Cavanaugh--When you start reading around on here, you realize the person who brought many of these great bloggers together is Alex. His Insecure Writers Support Group is now massive, having created a community of aspiring writers who have grown together. Alex somehow finds a way to comment on a ridiculous number of blogs each day, while also writing his own books. I don't know how he does it. 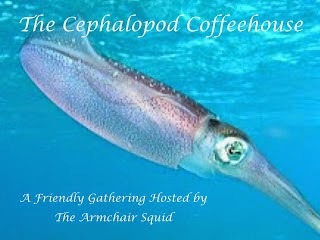 The Armchair Squid--The Armchair Squid is the master of pulling everyone together, creating fun bloghops like The Cephalapod Coffeehouse, a monthly challenge where participants discuss the best book they've read all month. Slam Dunks--"Slamdunk" and I have been reading each other's blogs for years. His blog is a great one to add to your blog roll, mostly because it's unique. If you're fascinated with missing persons cases and unique news stories, Slamdunk is your blogger! Jennifer Hawes--Jennifer is the author of Free Runner, available on Amazon. Her blog is my favorite kind--a combination of her real life and writing tips and always interesting to read. Diane Carlisle--A writer, photographer, and boating enthusiast Diane has been blogging since 2009. Under the name D.S. 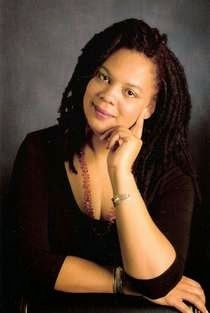 Carlisle, she has published Snow Leopard and Lethal Injection, The Seed, both available on Amazon. Which blogger(s) do you feel add to the sense of community we have here? Thank you, Stephanie! I'm up there with Jennifer, the Squidmaster, and the others - I'm honored. How do I do it? Clones. And lots of them. Thanks and congratulations on receiving the award! I need a few clones. You're also an early commenter. So you must never sleep. That's your secret! Thank you for some new recommendations! Great list! I met a couple of them, and you, through the A-Z Challenge :D Can't wait to do it again next year! Congrats on the award. Everyone in the blogsphere knows Alex. grin. But the rest I'll need to check out. Always good to get to know new blogging mates. My goodness!! Thank you, Stephanie. Part of my mornings at work is to visit all the blogs on my Blogger reader list. If I didn't have you guys to read, I'd be sipping my coffee in a depressive state, so THANK YOU for filling the blog-o-sphere with all the wonderful content. You all even inspire to me to write a post or two when I get the bug. Congrats and thank you. I, like Alex, am honored by the company. It's been a while since I've done one of these and I really like the spirit of this one. I've got a few companions along this road who are definitely worthy of recognition. Some of these bloggers I have never heard of. Thanks for giving me new blogs to check out! Congrats to all, and to you, Stephanie! There's a few more blogs I have to check out (your judgement is solid). Congratulations Stephanie. You really deserve it. Congrats on the award! And very worthy nominees. I swear the blogging world would fall apart without Alex. that's awesome. congrats to you and to your awardees! Congrats to you and all the nominees! I look forward to checking out these blogs soon. I met a lot of new ones through the Waiting on Wednesday meme and the Stacking the Shelves ones. 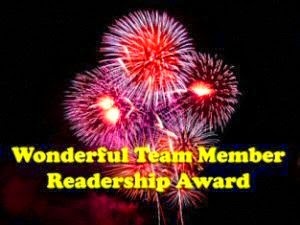 Congratulations on your well deserved award and thanks for the introduction to some fellow bloggers. Alex is the only one that I've heard of in this group. Well besides you. all wonderful bloggers! I met so many via D.L. 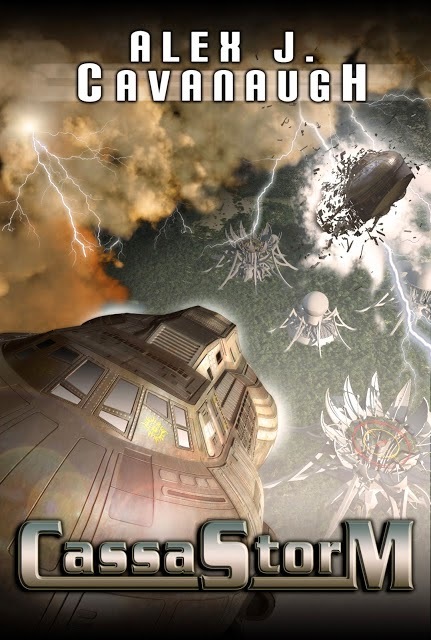 Hammons' Blog Blitz and also the wonderful Leandra Wallace's blog! Excellent choices! A few I must check out. Congratulations - to you and to your well chosen nominees. The warmth and the wonder of the blogosphere enriches my world. Congrats on the award! 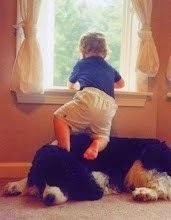 Will have to look at those other blogs; always like to read new ones! Happy weekend! Congratulations on the award. And you have good nominees too. Have a lovely weekend. Thanks for the shout out and for accepting the award. I always enjoy your visits and contributions to my blog. Congrats on your many successes. Also I'm one of those "i" Birds not a "y" bird, LOL! During my early years of blogging, these types of awards would go around like candy. But now it's getting very rare. Makes it a bit more special that way, at least I think. Congrats :) I think it's admirable that you chose to nominate a few that you really respect, instead of a bunch whose work you may not be familiar with. Congrats, and congrats to your nominees. I think you pretty much nailed it with your choices. Congrats and great choices for nominees. Alex is definitely a great one on the list. I know of the others, too, and I think they're also good picks. Wonderful blogs here, Stephanie. I'll check out the ones I'm not familiar with. Congrats to you and you deserve the award and how nice of you to give the award to all the others. I agree with you about Alex! I have no idea how he does it!! Congrats! thanks for the list too. Hi Stephanie, congratulations on the award – well deserved if I may say so! Thanks for telling us about the other blogs, I’m away to visit them now. Barbara. A fascinating group of bloggers who also write! Glad you won the award and then shared with the others, passing it on. We can all use encouragement. I started working on my book again, by the way! Well deserved and thanks for sharing your nominees. How wonderful to see bloggers who are new to me, as well as ones that are very familiar. Congrats on the award. Those are great choices I will check them out. Congrats on the award, Steph! ...and thanks for introducing us to some new bloggers. Congratulations Stephanie. In my opinion all bloggers deserve accolades. Each are good at what they do/write. and i love all the nominees too! Alex is the only one I've heard of here and I've only recently seen you on Pat's blog and thought I would check out your site. Alex always makes the rounds and is sure to visit those in the community. The man is an endless stream of energy and very supportive of others. Also, I have read his first book and just starting the second in the series. An author with a heart. Thank you for the kind words and recognition Stephanie! It is an honor to be included with such company. Congrats on your award. You work hard to make this a place to want to return and you deserve all the recognition. Congrats to you and all the nominees. Blogging is an amazing thing. Alex and #IWSG are amazing. That's where I first ran into you-all. Every month, I wonder what I will write about--and have a topic within minutes. A testament to how insecure I really am! Came back today for a second perusal of your nominees. Have followed some of them. Thanks for sharing your favorites Stephanie! !